In the 20th Century Fox movie, Fern Gully is a secret world touched by magic and surrounded by nature...enough said. 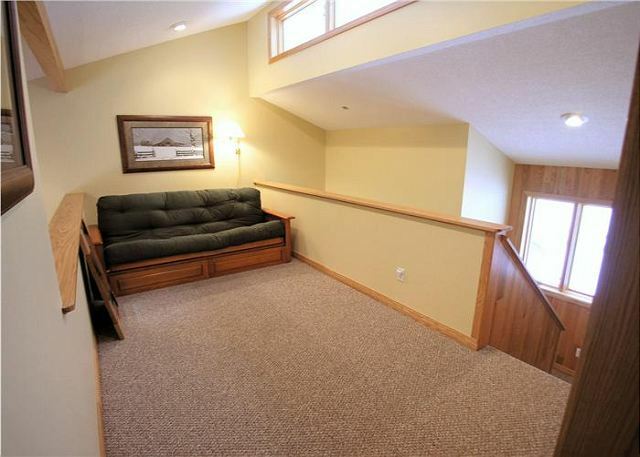 You can't go wrong with this beautifully decorated and completely equipped single family home. It is a beautiful space...and yes, it is surrounded by nature. 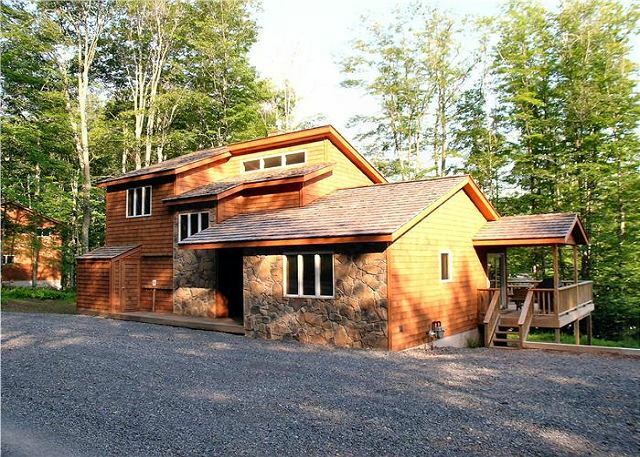 Outdoor enthusiasts will love the convenient location and access to unlimited hiking, biking, and scenic walking. The property also offers a community tennis court and pond. Inside of Fern Gully, comfort is the main ingredient. After a busy day you will enjoy relaxing in the outdoor hot tub or catching up with friends and family by the fireplace. The kitchen is well stocked and ready for you to prepare simple snacks or culinary delights. Every bedroom offers a plush queen bed and decorator decor. Fern Gully is sure to provide you with a memorable vacation...and it might just become your secret world! Fern Gully is such a beautiful house. Immediately upon entering I was amazed at how clean everything was. The hot tub was a big hit! The house was very spacious for 2 families. We enjoyed our stay there and would definitely return. Our stay at Fern Gully was amazing. The cabin was extremely easy to drive to. It was decorated beautifully and immaculately clean. You felt like you had privacy even though there were other cabins nearby. Best of Canaan was outstanding as far as answering questions and handling our rental arrangements. We would definitely recommend this property to other travelers and plan to return again. We absolutely loved this cabin and it’s located. Secluded but close to reds and shopping! A bonus is the rental management staff. Very helpful and friendly. I accidentally locked myself out of the cabin and one of the maintenance staff arrived and let me in. Was so very very thankful. I would recommend to anyone. Our group of 12 rented two houses (Fern Gully and Timberdoodle) to spend a long October weekend hiking in WV. Both houses were convienient to each other and similarly layed out and outfitted. Everyone enjoyed the weekend and stay, though the bed in the MB of Timberdoodle was too soft. Six of us (3 senior couples) spent a wonderful week in Canaan Valley. Most of us have been there many times in the past, mostly in the winter for skiing trips. But that was almost 20 years or so ago. We have always enjoyed trips there, and why not? It is really a beautiful valley, the whole valley is beautiful and very friendly. Very pleasantly surprised upon arrival. House was spacious and well kept. Everything was as described. The ladies at the rental office were super friendly and helpful. Only drawback was that this unit did not have air conditioning. BUT, it was mid July and there were only a couple days where we would have liked it. Mountain temperatures are much cooler. We took much of our own food, and glad we did. There are few restaurants nearby. If you are a nature lover, this is the place for you. Hiking, mountains, ski lifts, wildlife. Balackwater falls is only 15 minutes away. We had a great time. We had an awesome time! Great house! We (my son,daughter-in-law,grandson and wife and 2 granddaughters, ages 1 and 7 had thanksgiving at Fern Gulley, it was wonderful, no snow, but we walked in the woods, and shopped. The unit was very comfortable and well equipped. The management company was excellent. Very personable and helpful. Would definitely stay again. We had a very nice time. The house was great! Thank you very much. Very well appointed and spotless. Better than the online brochure! We absolutely loved the home! It was very clean and was even better than the online brochure. The home was actually furnished with practically everything you need to stay there. We WILL be back. They didn't skimp on this place! Thanks for an enjoyable stay. Very nice accommodations and house. Very cool place during summer months. We used it for a four-day mini-vacation in the summer and had a great experience. 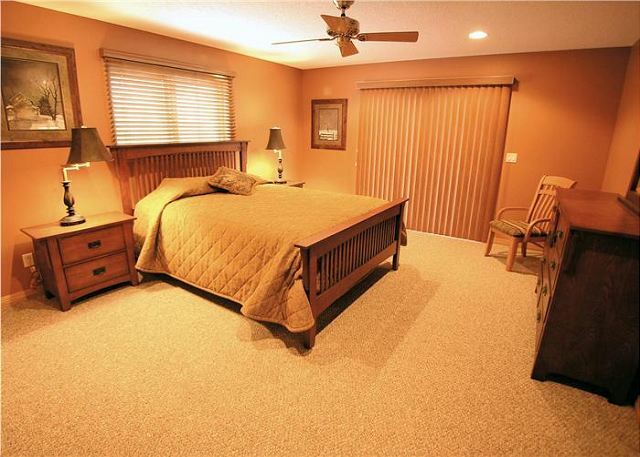 The property is in immaculate condition, with plenty of space and well-appointed. Hot tub is great. Very close to the state park. The staff of the management company was helpful. No complaints. This was our second consecutive year as a group, vacationing to Davis and Timberline/Canaan Ski, and each year we fall more in love with the area. Coming from a very small town in the mountains in NC myself, it's like going back home for me. The customer service with Best of Canaan was, as usual top notch. Donna, Loraine and the rest of crew really do a wonderful, personable job. My family and I had such a wonderful time staying in Fern Gully. The house was immaculate and anything we would have needed was provided. We will definitely be returning...thank you again for providing us with such a perfect place to create memories. Everything about Fern Gully was perfect...great property, great location, and the staff at Best of Canaan, especially Donna, was very nice. I would definitely recommend this property to anyone. And the Canaan Valley is a wonderful area to visit...Blackwater Falls State Park, Canaan Valley State Park, and Dolly Sods Wilderness and Scenic Areas are all very close. Seneca Rocks, Seneca Caverns, Blackwater Outdoor Adventures (we rented kayaks), and the Allegheny Highlands Rail Trail are also relatively close. 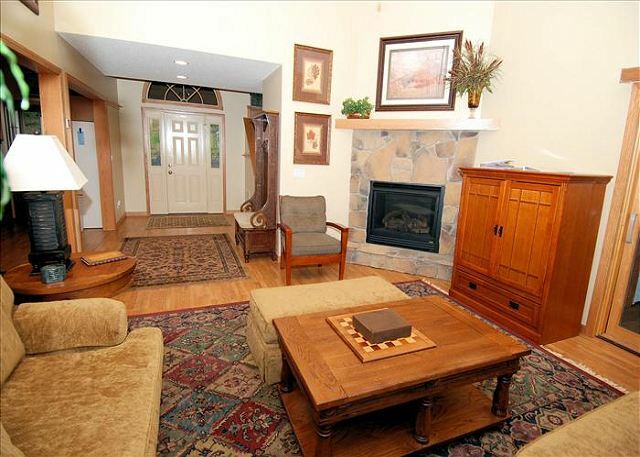 Overall a great vacation and a great rental property! Wonderful house and location. Would stay there again for sure! Clean, quiet, comfortable house. Convenient location and friendly staff. Best place to stay while you vacation in the mountains. The house is fantastic! 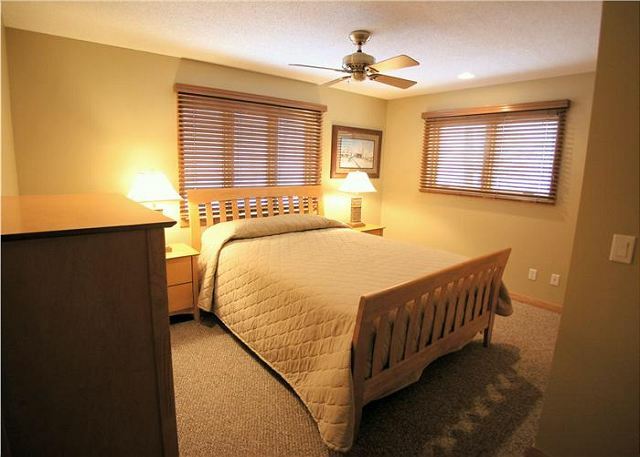 A well maintained home in a resort setting, was very tastefully decoarted with more than the conveniences of home. I have never found a rental property in better shape and under better management. We loved the house and everyone associated.Thank you. Just a little plop of heaven! This was the first, of now many, girls weekend! We were very satisfied with everything the cabin had to offer and were pleasantly surprised at the speedy service when we had questions! LOVED IT! We're already looking at weekends for next summer to book early! Everything was fine with one exception. If I'm required todo dishes and wash towels you should at least proved the detergents necessary to do so. Also having to remove the trash is a little much to ask sinces the car was packed full and the trash had to ride in the front seat with us. Fantastic experience--beautiful location, reasonable price, very comfortable accommodation. Would recommend to anyone wanting to get away with family. We were very pleased with the rental, it was very relaxing, clean and we hope to come back soon.. It was very nice, great location and view. Unit was very clean and well maintained. Our booking agent Donna was very helpful and friendly. 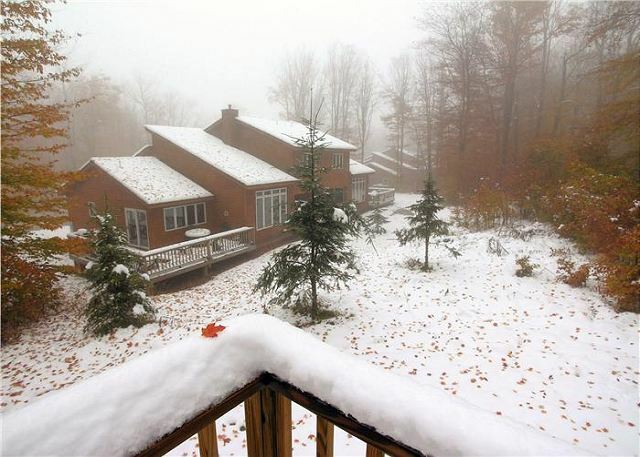 Very nice property, we had a great time and the location was very convenient to the slopes. Nice neighborhood, very attentive property managers. This home made you feel at home. 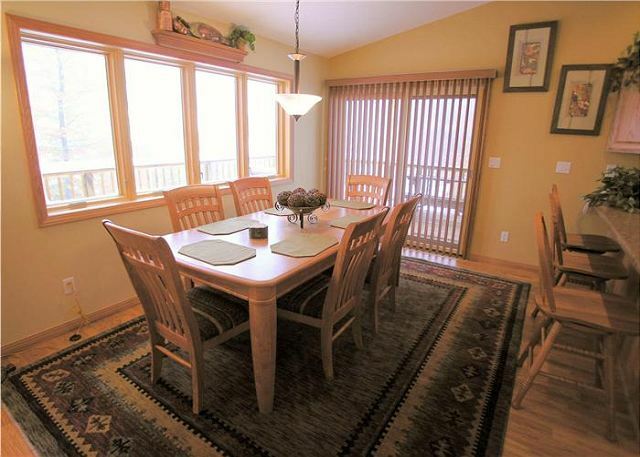 It is extremely well cared for, comfortable, clean and the perfect location to the slopes and cross country. We definitely will be back to this home. Thank you for such a wonderful visit!